FDP Forum / Fender Amps: 1985 - Current / Non-destructively remove grill from 2000s Pro Reverb 1x12?? 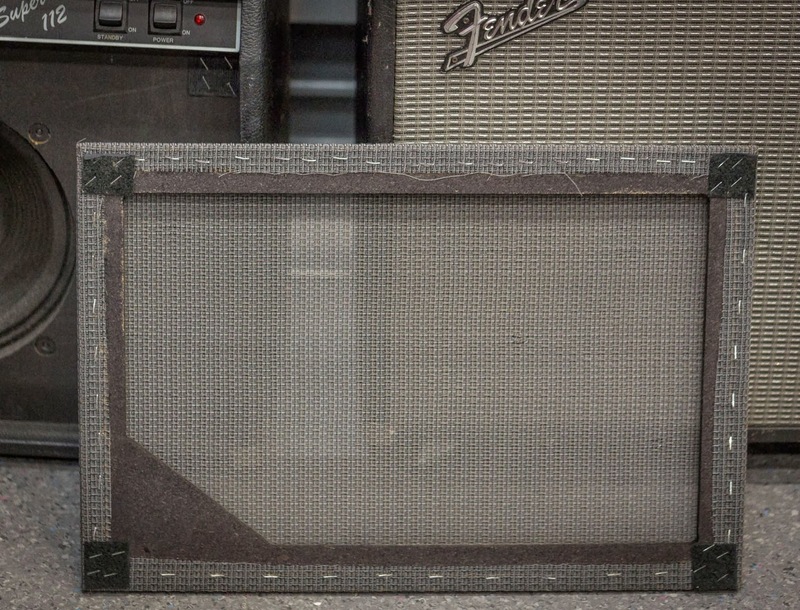 Hi, I bought this Pro Reverb with the intention of replacing the grill cloth, but I have been told that the band that signed it is fairly famous in the worship scene so I would like to see if I can preserve the grill cloth and frame. I cannot figure out how this grill comes off?? any tips? Otherwise I will be selling the entire amp which is a shame because it sounds fantastic! Use a 1" putty knife to remove the grill face. It's a frame that's backed with Velcro at each corner. On the front of the amp at one corner, slip about 1/8" of the end of the blade between the black Tolex and the grill cloth, and pry gently. The Velcro will release and the frame will come out a bit. Holding that loosened corner with your fingertips, proceed to another corner with the blade and do the same. Once you get two corners loose, you can swing it like a door and the remaining corners will release. IMPORTANT: if the grill frame catches on the stick-on aluminum face plate of the chassis, do not force it because you can bend that face plate. Remove the four screws holding the chassis in the cabinet and slide the chassis like a drawer, just a bit to allow you to pop that grill frame out. This is what the rear of the grill frame looks like. Ah man I wish I had seen your post earlier. You are 100% correct! I used a feeler gauge to pry the velcro and to allow me to slide the head back an inch or so. Then it came right off! !